Serving the Great State of Indiana for Over 50 Years! Locations: 18 throughout Indiana including 6 locations in Lafayette and West Lafayette, Indianapolis, Greenwood, Columbus, Monticello, Rossville, Lebanon, Frankfort, Crawfordsville, Rensselaer, Pine Village, Floyds Knobs and New Albany. Arni's also owns and operates its own distribution company, Linarco Distributing, which supplies food products and supplies to its own restaurants. 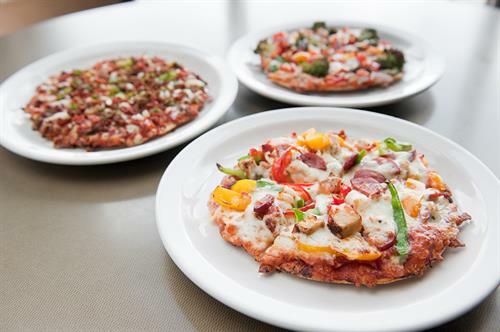 On the Menu: Thin crust pizza has always been a staple on Arni’s menu, but their restaurants also serve subs, sandwiches, salads, burgers, pasta, desserts and so much more! Arni’s also owns and operates its own commissary kitchen and distribution company, Linarco Distributing, that supplies food products and supplies to its own restaurants. For over half a century, Arni’s has been serving fresh and delicious food with a friendly smile. When you come to Arni’s you’re getting more than just a good meal, you’re experiencing one of Indiana’s finest restaurant traditions. Family and friends all gather here to experience the feel-good environment, great service and the one of a kind thin crust pizza.